When most of us reach the end of a flight, we collect our things, walk off the plane and go on to baggage claim and the rest of our journey. At the end of nearly every flight John Morris takes, he finds himself literally tied to a chair on the jet bridge, unable to go anywhere until the crew lets him. It’s a humiliating experience, but it’s a familiar one for Morris, a triple amputee who says that the nearly three-decade-old promises of groundbreaking legislation that was supposed to end discrimination against travelers with disabilities have gone unfulfilled. “That’s degrading to be sitting there in a tiny little aisle wheelchair, strapped in like I’m in a straitjacket, and then have 200 people walking past me and looking, staring,” he told TPG in a telephone interview. When President George H.W. Bush signed the Americans with Disabilities Act (ADA) into law in 1990, it became illegal to discriminate against people with disabilities. The Air Carrier Access Act (ACAA) had already been in effect for four years, designed to address the “unique difficulties” travelers with disabilities encounter when flying. When they were passed, both the ADA and the ACAA were considered revolutionary. But some 30 years after the laws were passed, Americans with disabilities say they still don’t have the unimpeded access to travel that the legislation was supposed to ensure. Many of the people the ADA affects most find it more symbolic than powerful. Instead of preventing ADA violations, she said, needed changes only take place after consumers complain to the Department of Justice or a state division of human rights or civil rights. And even when a complaint is filed, it can take a long time before there’s any action. Rachelle Dickerson, director of external relations at the New York State Division of Human Rights, said that when businesses, like hotels, are found to be noncompliant, they’re forced to remove barriers and make it easier for people with disabilities to enter and leave the building — at least on paper. In reality, it can take a long time before those improvements are made, and even when a person is successful in getting a business to adhere to the law, he or she isn’t entitled to any other form of compensation. As with the ADA, the ACAA seems only to be enforced after alleged abuses leak to the press. “Congress placed the responsibility of ACAA enforcement in the hands of the [Department of Transportation], but the agency rarely uses that power to promote equal access,” Morris said. Cervenka said the laws won’t realize their full potential until the American public realizes how rampant discrimination against people with disabilities is in the US. 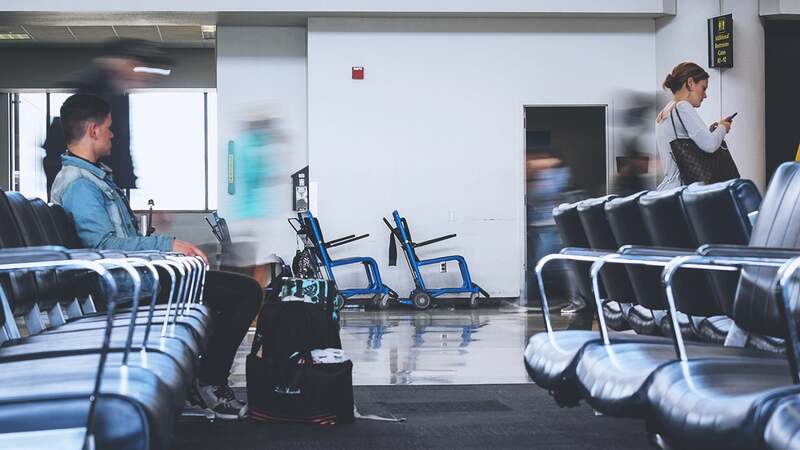 According to the Open Doors Organization and the Travel Industry Association of America, 72% of adults with disabilities reported major obstacles with airlines, while 65% reported issues with airports. Considering that the US Census Bureau pegs the number of Americans with disabilities at 56.7 million, or just under 20% of the general population, that’s a huge problem. Those who rely on wheelchairs find there are often long waits for wheelchair assistance. If they’re bringing their own wheelchairs, their chairs are often returned in an untimely manner — or totally damaged. In 2016, airlines reported 32,445 disability-related complaints, according to the DOT. Of those complaints, 17,498 involved wheelchairs, 707 of which were damaged. 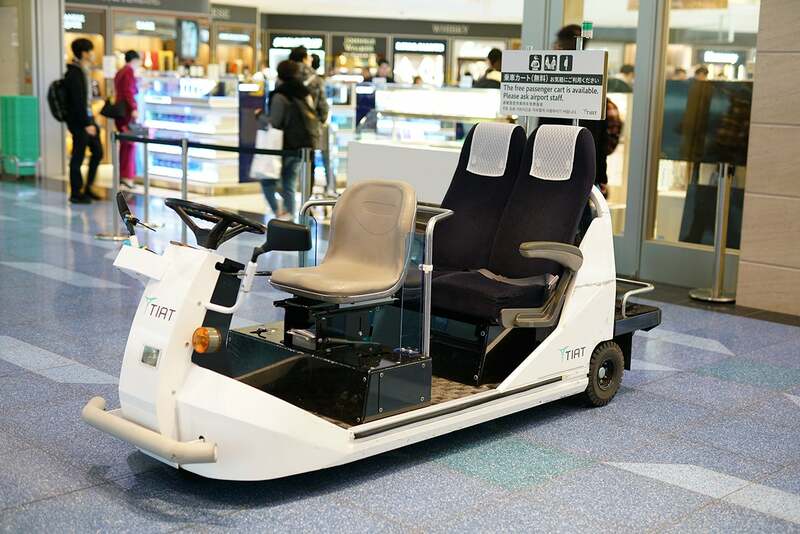 An additional 338 complaints were related to “storage and delay” of a traveler’s wheelchair. Even for travelers with disabilities who don’t use wheelchairs, airports can be nightmarish. Cervenka has been blind since birth because of optic nerve hypoplasia. Her husband, Greg DeWall, is also blind. Both are completely mobile, though, and can walk perfectly fine without assistance. But when they request assistance at an airport — for their blindness — the attendant often brings a wheelchair. The ACAA only requires aircraft with more than one aisle to provide an accessible lavatory, so a person using a wheelchair on a transcontinental American Airlines 737 MAX 8 flight can’t use a restroom for five or six hours at a time. 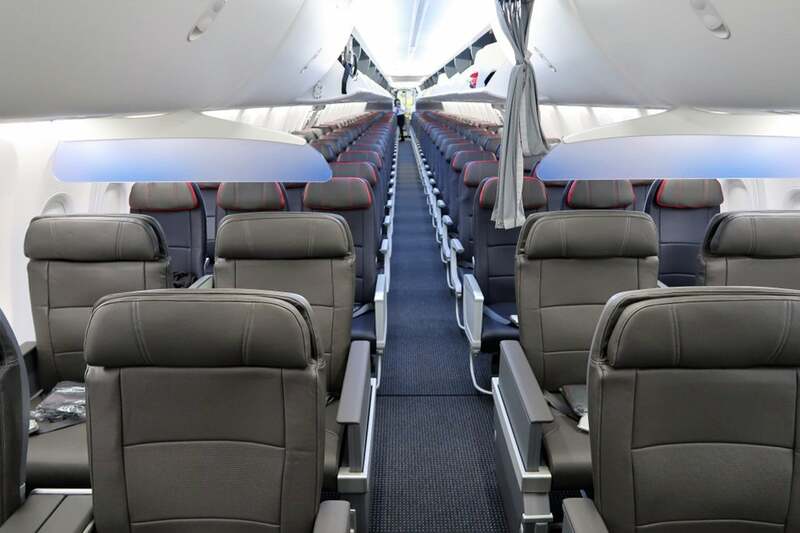 An American Airlines 737 Max 8 plane interior. Single-aisle aircraft are not required by the ACAA to have a wheelchair accessible bathroom. Not surprisingly, those accommodations aren’t always, well, accommodating. “Even the accessible lavatories are small, with airlines compromising on space and accessibility to maximize seating,” Morris said. Flyers with disabilities who rely on service animals have to suffer yet another layer of complications, especially since the widespread backlash against emotional-support animals. Those aren’t the same thing as service animals, but not everyone understands that. The ACAA and ADA both prohibit discrimination against service dogs, but the DOT logged 2,499 service-animal-related complaints in 2017 from domestic and foreign airlines. Most were related to airlines refusing to transport emotional support and psychiatric service animals. There are no hard and fast numbers of service animals in the US (and what constitutes a service animal is hotly contested), but considering that among the blind alone, some 2% are believed to use service animals, aviation-related issues with service animals affect hundreds of thousands of potential passengers. A DOT public inquiry could drastically change how service animals are treated under the ACAA, making it even harder for those who rely on them. For example, the industry lobbying group Airlines for America asked the DOT to allow airlines to require documentation for service animals. Morris, who too often finds himself strapped to a chair on a jet bridge while the airline staff retrieves his wheelchair, is a world traveler who has flown more than 750,000 miles and has elite status. 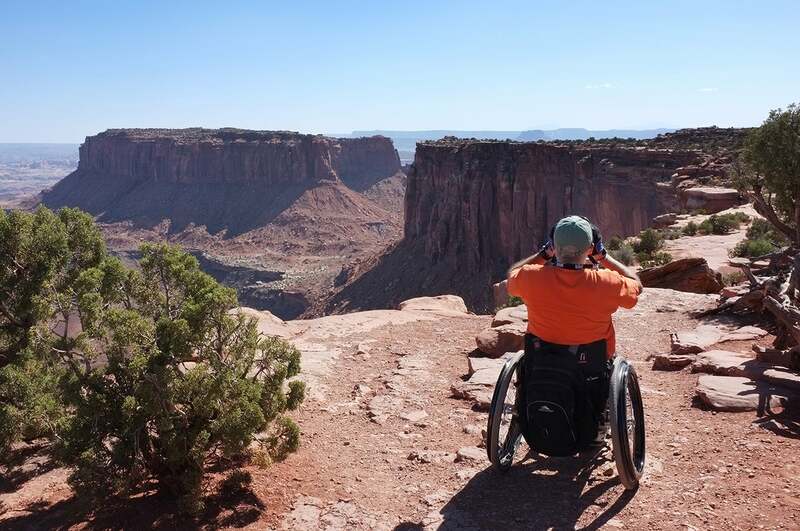 He also runs WheelchairTravel.org, where he documents what it’s like to circumnavigate the globe in a wheelchair. But he’s found that even when he makes it through the challenges and indignities of flying, it’s often difficult for him to lay down his head when he finally gets to his destination. Of all the hotels he’s stayed in that claim to be ADA-compliant, he’s found that only a fraction are truly accessible. Morris said, for example, that he once could not use the restroom during a one-night stay because the doorway to the restroom was too narrow for his wheelchair. Representatives for Marriott, Hilton and IHG told TPG their hotel rooms comply with all the legal requirements of the ADA. That involves a series of design elements, including accessible doors; grab bars for toilets, showers and tubs; a percentage of rooms with signal alerts for individuals with sensory disabilities; and a guaranteed reservation when a guest books an accessible room. But Morris argued that even when hotels are technically in line with the letter of ADA regulations, they’re often not usable in practice. In accessible hotel restrooms, for example, bathtubs and showers are required to have a fixed or removable seat. But Morris said that they’re often not secure, and sometimes not even positioned so the shower head is reachable. And then there’s the issue of bed height. Morris said that in some rooms it is “virtually impossible” for wheelchair users to transfer to the bed, because they’re just too high off the ground. He’s has readers who, unable to reach their hotel bed, were forced to sleep in their wheelchairs. It’s a problem echoed by Joe Zesski, program manager for the Northeast ADA Center, part of a government-funded nonprofit network dedicated to helping educate the public about disability rights. “Bed height is a best practice, but not an enforceable standard,” Zesski said. It’s become a punchline for Morris. It’s not all bad news, though. In some ways, both people with disabilities as well as advocates say it’s gotten noticeably easier to travel. “There’s definitely been change,” said Lintz, whose daughter was diagnosed with hearing loss as a young child. Some New York City cabs now feature induction loops — sound systems that send signals directly to a hearing aid or cochlear implant — and on planes, closed captioning is available on more and more airlines’ in-flight entertainment. Lintz, who counts these developments as two of her successes, has also expanded hearing access in national parks, subway information booths and hotels. “As we went on family vacations, I expanded access,” Lintz explained. When Cervenka and her husband travel with their two sighted children, they find ways to adapt, too. They use information from public spaces made available online or in Braille to plan entire trips in advance — literal step-by-step guides — to avoid problems once they’re on the ground in a new destination. According to Cervenka, large print and Braille are more prevalent than ever before. Cervenka also selects hotels that are close to things on her itinerary and provide shuttles. Yet sometimes the family will still opt to stay at an inexpensive property rather than a pricier one so they can afford a concierge-level room and be guaranteed more assistance if they need it. There have been improvements in the skies, as well. Last year, five US senators introduced the Air Carrier Access Amendments Act, which would improve access to airplane cabins. Carriers including Frontier and Spirit have adopted the SpaceFlex cabin layout, which allows for accessible lavatories on single-aisle planes. And in 2016, the DOT established the ACCESS advisory committee, tasked with addressing in-flight communications, accessible lavatories and service animals. While much of the focus has been on improving access on airlines and in public spaces, travelers with disabilities are simultaneously fighting for universal accessibility on trains, buses and with ride-sharing services. In the end, disability-rights advocates say it may come down to convincing airlines, hotels and other travel-industry companies that accommodating people with disabilities will help their bottom line. The Open Doors Organization study found that adults with disabilities spend an estimated $17.3 billion on travel every year. The report also suggested that spending would double if compliance improved. But as Cervenka pointed out, meaningful change may not come until the public recognizes how severe the problems are — and welcomes the disability community in conversations about inclusion and equality. “When people discuss diversity, they always leave out disability,” Lintz said. And though many people may not identify as having a disability, it’s a mistake to think that may never be the case.